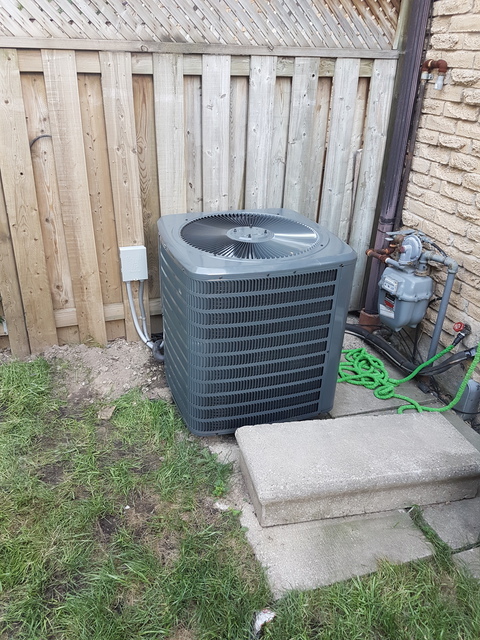 We were in urgent need of a working air conditioner with how hot and humid summer has started. We had calls out to a few companies and no one took the time to help us out. We found Convertible on Homestars and seen they had great reviews and they do financing. We also seen their ad for their 50th anniversary sale in the local MoneySaver. We gave them a call and talked with the owner Sam. He was very nice and was eager to help us out. He gave us a rough estimate on the units they had on promotion and we were interested in having them do a proper in-house estimate. He made the appointment for two days later (a Sunday). His son showed up on time and was very friendly and knew what he was doing. He took a look at the furnace and the ac unit we had. He then sat down with us and went through our options. He did not pressure us to buy anything more than we needed. We were able to set up the financing, the installation appointment and everything within an hour. Come installation day the contractors were at our door right on time at 8:30 in the morning. They were very polite and professional and very knowledgeable on their trade. They had the old units taken out in an hour and a half. They worked efficiently and did not make a mess. We were told the install would take about 8 hours, and they had actually finished in 6. 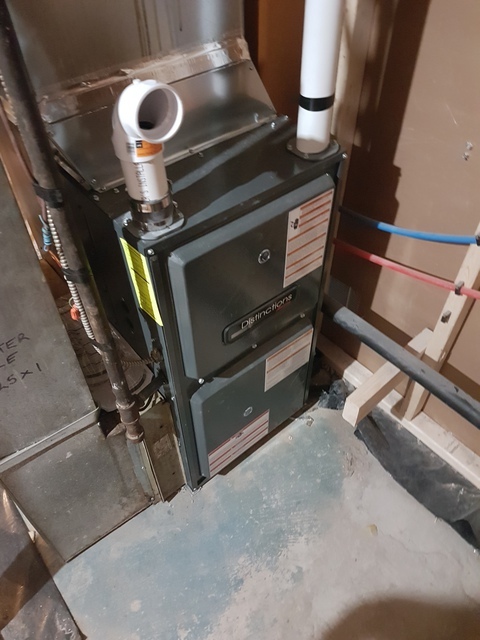 Once the installation was complete we also noticed they did not install the rounded boot they had estimated we needed to replace because of the size of the existing ducts. So even though it was written into our price, we called Chris up and he solved the problem instantly. Overall I am very happy with my service from Convertible and am sure to recommend them in the future. Chantal, this is so cool. Wow. Thank you from the bottom of our hearts for this detailed review of our performance. We aim to please & when we get reviews like this, it makes it all worth while. On behalf of my entire staff and family, including my father Sam, - thank you again for choosing Convertible. I had these guys come out to look at my air conditioner (just bought the house in winter so could not check whether it worked during home inspection). Prior to the visit I had someone else look at it and recommend replacing two parts as a result and it still did not work. When AFG came out to take a look (I chose them based on the Homestars rating), he took a look at the furnace and told us the circuit board on the furnace was not working and he tried bypassing the board to double check. He told us the board needs to be replaced ($600-800) or replace the whole furnace ($3000+). The furnace was original to the house (circa 1970s) and so it made no sense to replace the board at that cost. We decided to shop around for a furnace and found one on promotion from another business rated highly on Homestars and they gave us a deal for both the furnace and ac. Long story short, when the guys were installing the new units, they took a look at the thermostat and said it was not wired properly and the ac/furnace could have worked for all they know. AFG did not even take a look at the thermostat and rushed through the service call which you pay by the hour. Had he taken his time and checked the thermostat, we likely could have gotten another year or two out of both units. I could not really afford replacing them in the first place but the temperature has been feeling like 35+ for several weeks and we have a northern breed dog who does not fare well in the heat so had to do something fast. I would not recommend this company.